A $28 billion transport programme has been unveiled for Auckland in what’s been described by the Government and Auckland Mayor Phil Goff as the country’s largest ever civil construction programme. Its backers say the work will help create a 21st century transport network for the city. “Together, we will invest $28 billion over the next decade to unlock Auckland’s potential. We will be building vital projects including light rail, Penlink and Mill Rd, heavy rail and bus upgrades, safety improvements, and more dedicated cycle lanes,” said Transport Minister Phil Twyford. The investments are made possible by a $4.4b funding boost resulting from the Auckland regional fuel tax (RFT), increased revenue from the National Land Transport Fund, and a new funding mechanism, Crown Infrastructure Partners, Twyford and Goff said at Newmarket railway station. 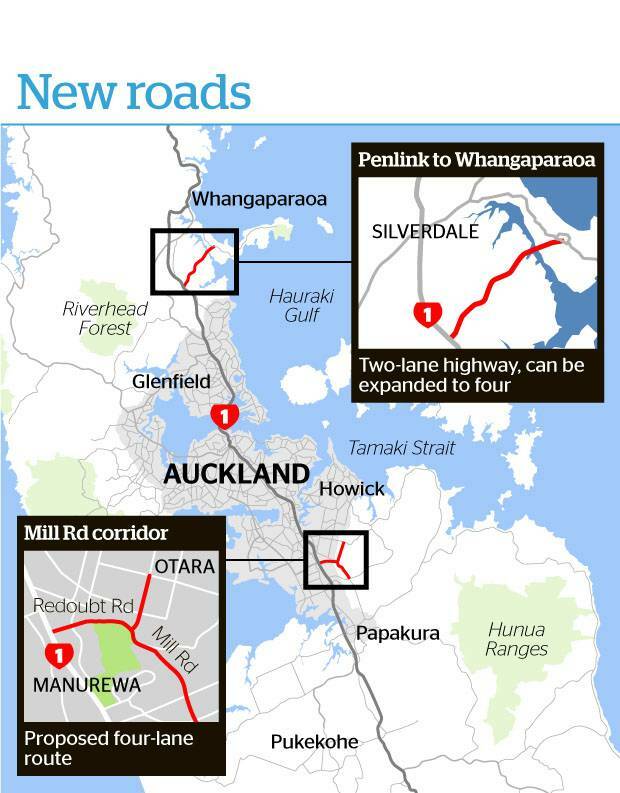 Earlier today, the Herald reported the Government will fund two major new roading projects in Auckland. One is Penlink, in the north, providing a new connection between the Whangaparaoa Peninsula and the Northern Motorway. Motorists will pay a toll to use the road – a measure National has criticised as a “triple whammy” for motorists. The other project is Mill Rd in the south, improving the connection from Manukau through Takanini to Drury. Both roads have been favoured projects of the former National-led Government. But until today they did not feature among the key elements of the Labour-led Government’s transport strategy for the city. • Committed projects like the City Rail Link and Northern Motorway improvements. • Light rail, or modern trams. • Airport-Puhinui State Highway upgrade, including a high quality public transport link to an upgraded Puhinui railway station. • Bus priority programme, to more rapidly grow Auckland’s bus lane network and support faster, more reliable and more efficient bus services. • Lower cost East West Link to address key freight issues in the area. • First phase of the Mill Rd corridor. • Penlink road (motorists will pay a toll to help fund this). • Walking and cycling programme to expand the network and complete key connections, such as Sky Path. • Significant programme of safety improvements. • Network optimisation and technology programme to make the best use of our existing network. • Rail network improvements including electrification to Pukekohe, additional trains and other track upgrades. “This plan is funded to deliver the projects we are committed to,” Twyford said. “The previous ATAP report, released by former Transport Minister Simon Bridges in August 2017, had a $5.9 billion funding gap. National had no plan to fix that fiscal hole, which would have meant the projects they promised couldn’t have been delivered. Goff said: “ATAP balances the need to deal with Auckland’s immediate and pressing transport needs, as well as being transformational for the future. “To raise the same sum from rates would result in a total rate increase of over 13 per cent this year. Alternatively, to do nothing would see Auckland become increasingly gridlocked. “New forms of revenue such as an RFT to invest in our transport network and light rail to supplement buses, ferries and heavy rail are critical for an efficient and effective Auckland transport system. Auckland’s growth means additional investment in these areas is vital for us to tackle congestion problems,” Goff said. ATAP includes $1.8b in funding for light rail. A work programme is under way to leverage sources of investment capital outside of ATAP for light rail, and an announcement will be made soon. Under ATAP, Auckland is expected to receive 38 per cent of the National Land Transport Fund over the next decade, proportionate with the region’s growing share of New Zealand’s population. However, Goff says that this “still falls short of Auckland’s projected 55 per cent share of the country’s population growth over the next decade”. Read more, including the Auckland Transport Alignment Project documment and the video announcement from Phil Goff and Phil Twyford here. 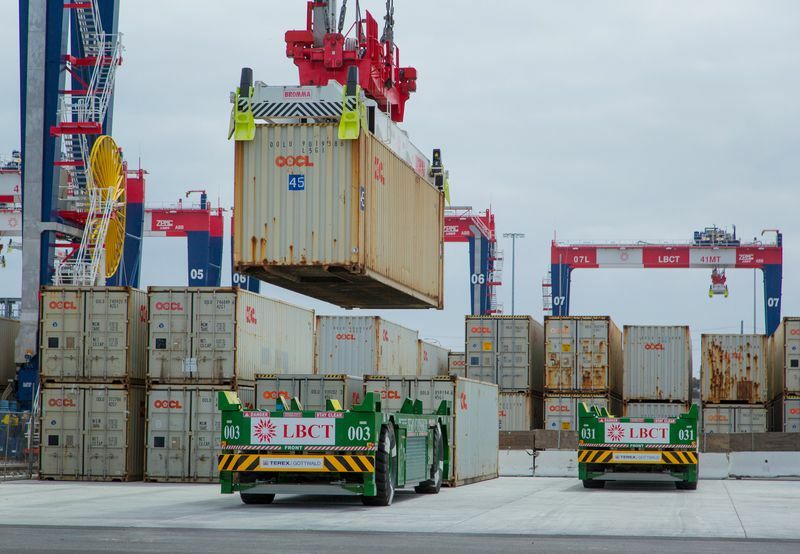 Containers are loaded onto automated guided vehicles during testing at Port of Long Beach in California in 2015. 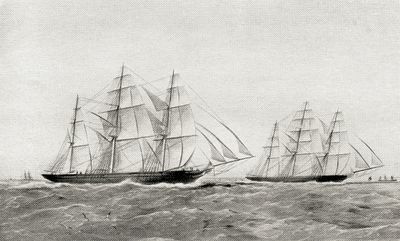 An illustration of the Great Tea Race of 1866 between the clipper ships Taeping and the Ariel. 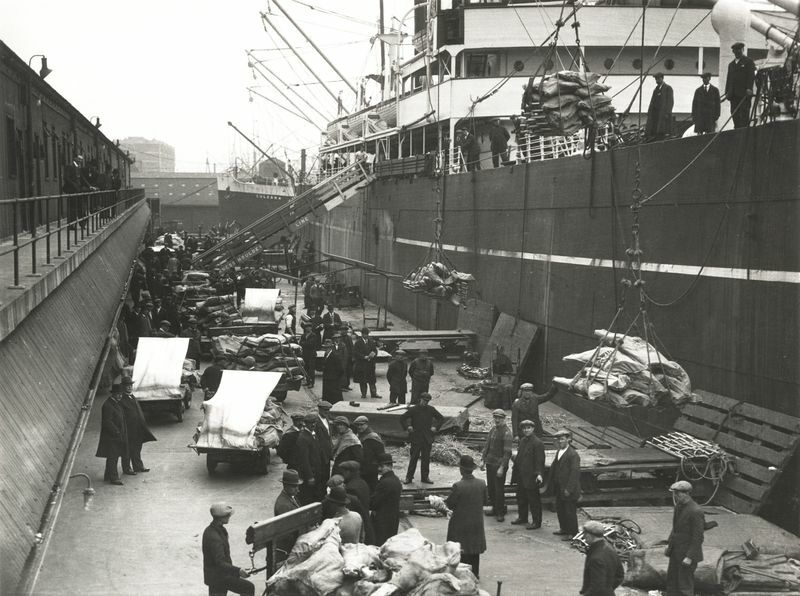 Workers handle cargo at the Royal Victoria Dock in London in the 1930s. Coastal Bulk Shipping operator Doug Smith is optimistic the company can develop its bulk cargo operations. 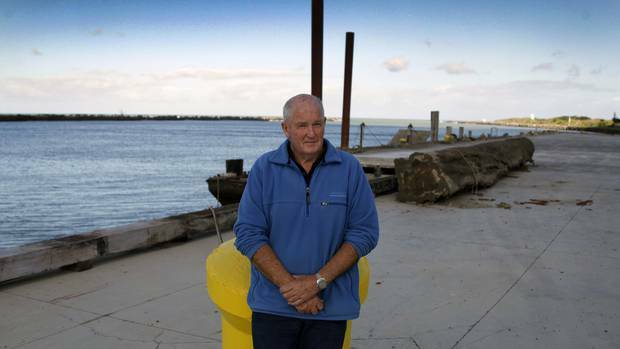 While the rest of Whanganui waits for the port redevelopment to proceed, one business is tracking upwards as it ships around New Zealand from its base at the port. Doug Smith runs Coastal Bulk Shipping, a company he and a “family” of relatives and friends have owned since 2010. The company owns and operates the MV Anatoki, a small Whanganui-based vessel that moves bulk cargo between ports around New Zealand. Mr Smith says the business is growing and there is significant potential for further growth. “For the calendar year to the end of December we moved slightly over 20,000 tons of cargo. “We picked up some business as a result of the Kaikoura earthquake [which took out road and rail links] but we have continued to build on that cargo. For the first three months of this year we have done over 7000 tons of cargo and that’s with the South Island’s road and rail back in full swing. The Anatoki primarily brings grain up from the South Island, transports dolomite from Golden Bay and takes urea from Kapuni to various South Island ports. It also transports about 100,000 posts per year to Marlborough vineyards. “The main change has been the northbound grain and dolomite is starting to build again,” Mr Smith said. “Dolomite will be coming through as chip and be processed for aerial spreading. These are niche markets that we are trying to continue to develop. “River ports were the mainstay of ports in New Zealand 100 years ago but now Whanganui is the only river port currently operating. Its history is significant as far as maritime people in New Zealand are concerned. The planned redevelopment of the port should have little impact on Coastal Bulk Shipping. “The [Whanganui District] Council needs some credit – most councils in New Zealand wouldn’t have spent the money they did on the port,” Mr Smith said. Reactivating the rail line at the port would make sense and would significantly reduce the impact of road transport to move cargo but was not currently likely to happen, Mr Smith said. MV Anatoki is a “handy little ship” which has its own following on Facebook and always attracts onlookers when it comes in and out over the Whanganui bar. It is 51m long and can carry 800 tons of heavy bulk cargo – the equivalent of about 26 truck and trailer units. The 7000 tons of cargo moved so far this year equates to 233 truck and trailer loads. The Anatoki is the only small coastal ship left in New Zealand and is able to negotiate shallow harbours such as Whanganui. The ship is currently transporting dolomite from Bluff to Napier. It will then take fertiliser to Timaru and return with a load of barley. He is sending Associate Transport Minister Shane Jones on a fact-finding mission to Australia tomorrow to investigate the best ways investors can work with the Government on public-private partnerships (PPP). Twyford says it is likely projects, such as Auckland’s light rail and rapid transit, will be funded in collaboration with the private sector through PPPs. Twyford says there has been a “great deal of interest” from parties looking at getting involved in a PPP with the Government. The Government has previously indicated it would be looking at PPPs as a way to meet some of its investment expectations but, at the moment, the process for investors is too complex. This is the reason Jones is heading off to Australia tomorrow. “We need to configure ourselves better within the state so there is less static when either foreign or domestic investors approach the state to play a role in our infrastructure turbocharging,” Jones says. But PPPs would require more debt from the Government. Twyford says there are options when it comes to new revenue streams to help pay for this – for example, through land value capture and infrastructure bonds. But taking on more debt would be problematic. As it stands, some of New Zealand’s council’s – including Auckland’s – are close to their debt limits and the Government has committed to reducing net core Crown debt levels to 20% of GDP by 2021/22. But Twyford says there is a way the Government could take on more debt to fund the PPPs without abandoning its debt target and pushing councils over its limit. “We intend to build on some of the work that was done by the previous Government in establishing Crown infrastructure partners as a special purpose vehicle. He says through this, a lot of capital could be borrowed to pay for the infrastructure needs the country is facing. Are ships more polluting than Germany? The shipping industry is meeting in London to formulate a plan to reduce greenhouse gas emissions. By some estimates, the international shipping industry produces as much carbon dioxide (CO2) as Germany. Reality Check looks at the data behind this comparison and from where all this pollution is coming. Engines on the world’s biggest ships can be as tall as a four-storey house, and as wide as three London buses. So a lot of fuel is required, which in turn creates a large amount of CO2. Carbon dioxide is an example of a greenhouse gas. The greenhouse gas effect is the process of gases like CO2 trapping warmth in the atmosphere and heating up the planet. International shipping accounts for about 2.2% of all global greenhouse gas emissions and 2.1% of CO2 emissions, according to the UN International Maritime Organisation’s most recent data. Germany’s CO2 and overall greenhouse emissions account for about 2.2% and 1.9% of the world’s total respectively, according to European Commission’s most up-to-date figures – about the same percentages as the international shipping industry. A country by country comparison can also be used as a device to demonstrate the scale of pollution in the shipping industry. According to the International Council on Clean Transportation (ICCT), an independent environmental research organisation, international shipping produced 812 million tonnes of carbon dioxide in 2015. The ICCT said that if treated as a country, international shipping would be the sixth largest emitter of CO2 in 2015. They pointed to a list of the top polluting countries compiled by the PBL Netherlands Environmental Assessment Agency, part of the Dutch Ministry of Infrastructure. Public Works and Water Management, which puts international shipping as the sixth largest emitter of CO2. The ICCT and Environmental Assessment Agency research both focused on CO2 produced by energy use and the ICCT said it removed domestic and fishing vessels, which would be covered by a country’s own count of emissions. The IMO is also addressing the amount of sulphur in fuel oil used on board ships. It says a reduction in sulphur oxides that emanate from a ship should have significant environmental health benefits. The World Shipping Council, an industry body, also says it is engaged in efforts to reduce CO2 and is “working to secure a global agreement addressing CO2 emissions from ships through the International Maritime Organization”. International shipping is a catch-all term for shipping between ports of different countries and so excludes domestic transportation. There are many different types of vessels and each produces different levels of CO2. The largest producers according to the ICCT are the biggest vessels; container ships, followed by the bulk carrier and the oil tanker. Container ships account for about one fifth of all emissions. However, modern ships are designed to slide through the water more efficiently than older ones or are built to operate at lower speeds to save fuel. For example, the largest of the Maersk container ships are reported to be 35% more fuel efficient than older, smaller vessels, according to Marine Insight. Battery power is already being used on some ferries in Scotland and Norway and there are more radical Japanese plans for hi-tech sails to power cargo ships, says the BBC’s science editor David Shukman. It is common for a ship to be registered under the state flag of a country that is different to the country of the ship owner. It’s a process called flags of convenience and allows ships to sail under the maritime regulations of the flag they are registered under. On offer is access to cheaper labour and low taxes. Many of the world’s ships sail under the Panamanian flag and most of the world fleet sail under the flags of developing nations, according to the IMO. The top five ship-owning countries are Greece, Japan, China, Germany and Singapore. Shanghai was the world’s busiest container port in 2017, according to a report by shipping consultancy service Alphaliner. Shanghai handled a total of 40 million Twenty-foot Equivalent Units (TEUs) last year, an 8.3 percent increase from the previous year. Singapore took second place, followed by Shenzhen, which ranked third on the list with 25 million TEU. Ningbo and Hong Kong were another two ports in China that made it into the top 10. 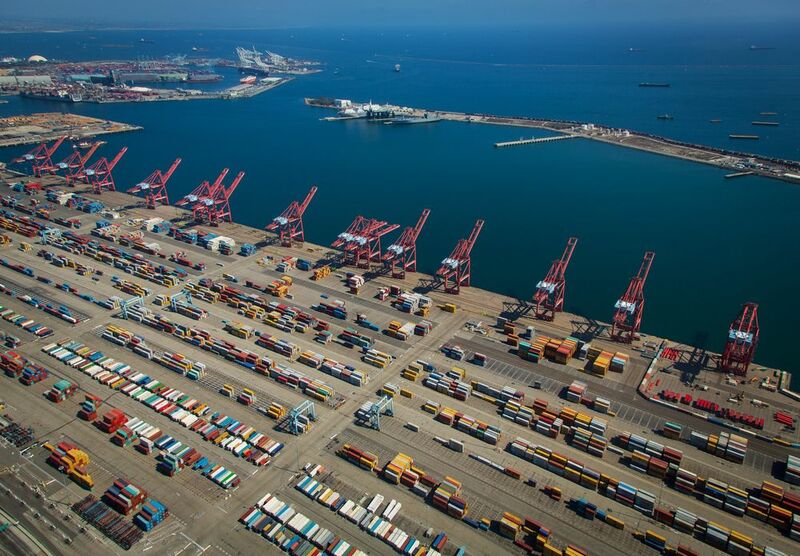 The Alphaliner report also says that, thanks to the recovery in the global economy, the world’s busiest container ports enjoyed a 5 percent increase and recorded a total volume of 600 million TEU in 2017.